Shooting intensified along the entire line of contact. The Russia-backed Donbas militants in eastern Ukraine carried out 36 attacks on the positions of the antiterrorist operation (ATO) troops on 15 May. They used weapons banned by the Minsk agreements. "The Russian-backed militants are getting increasingly active near the militant-held city of Donetsk. They intensively fired small arms, rocket-propelled grenades, 82-mm and 120-mm mortars on our positions near the towns of Avdiyivka and Krasnohorivka. They also fired grenade launchers and small arms on our positions near the town of Maryinka," the ATO press centre said in its morning update. An enemy sabotage and reconnaissance group attempted to penetrate our rear near Opytne close to Donetsk airport, using grenade launchers, anti-aircraft guns and 82-mm mortars. After a fire exchange the attackers had to retreat. 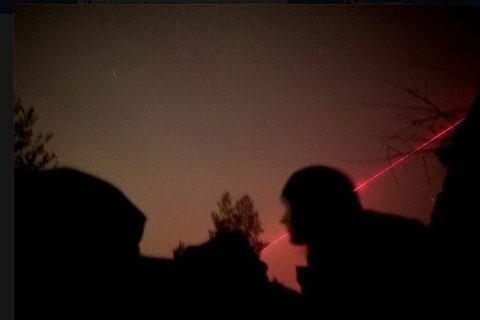 In the evening, the occupiers at the Horlivka-Svitlodarsk salient fired automatic mounted grenade launchers and 82-mm mortars on the Ukrainian troops near Zaytseve. Close to Luhanske, the enemy fired small arms and rocket-propelled grenades. In the Mariupol sector, the militants continue armed provocations against the ATO forces, using grenade launchers of various systems, heavy machine guns and small arms. Yesterday, there were at least three such episodes. "Shots were heard in Luhansk Region. The invaders fired automatic mounted grenade launchers and heavy machine guns on our positions near the town of Shchastya. The militants did not stop shooting since the beginning of the day. The Russian-backed mercenaries used banned 120-mm mortars, 122-mm artillery systems, as well as tank shells near Avdiyivka," the press centre said. In the Mariupol sector, the enemy fired 82-mm and 120-mm mortars on our positions near the villages of Novotroyitske, Taramchuk and Hranitne.